Quick Family Dinner At Home With 212-1212 twoanyone.com and a Giveaway! There are weekends that we'd rather stay home and spend quality time with the kids since BOS is away during the weekdays for work. He'd rather stay home and rest and it was one of those weekends that I was also lazy to cook! And when my laziness strikes, we have food delivered. 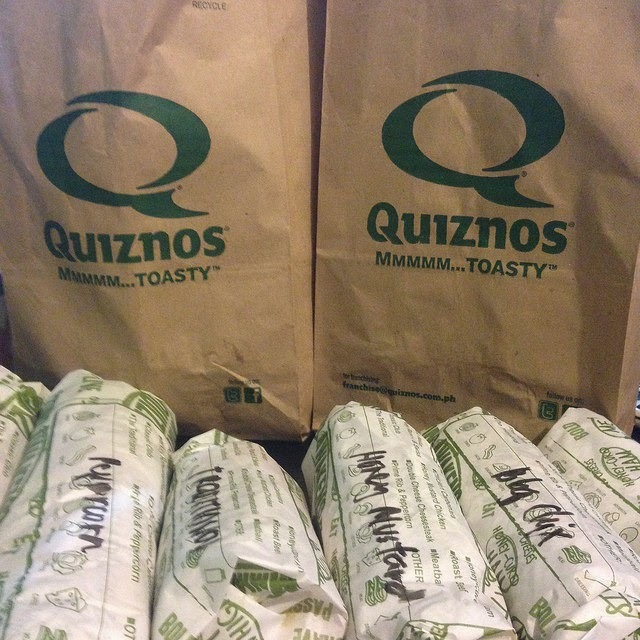 Last weekend, we got to try Quick Delivery or twoanyone.com! We've never tried Quick Delivery before, well we did long time ago but they don't serve our area yet at the time. I'm super happy that they do now giving us more resto choices! Double yay! 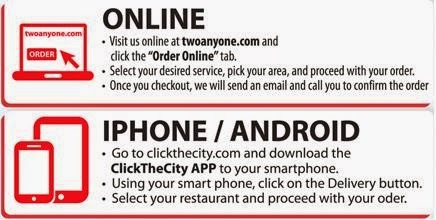 twoanyone.com is open 24/7 with over 400 restaurants throughout 1000 locations within Metro Manila. They provide delivery, takeout, drive-thru, catering, reservation and events management services. Just some of the restaurants you can order from. For the complete list, you can check it here. It was kind of hard to choose which restaurant to order from! 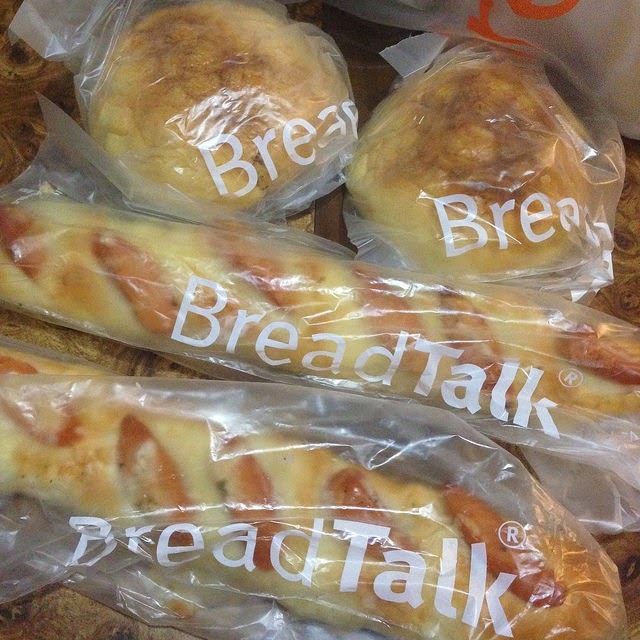 Since we were still full from lunch, I decided to just order a light dinner, sandwiches from Quiznos and then order some breads from Breadtalk for Y's baon for school the next week. 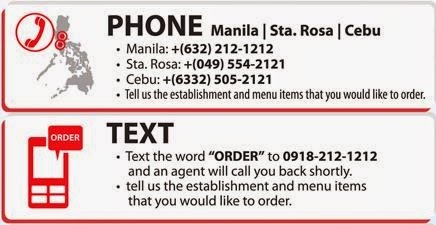 There's so many ways on how to order via Quick Delivery, you can call their delivery hotline 212-1212, order online at www.twoanyone.com, text ORDER to 0918-2121212 (twoanyone will call the customer back to take their order) or order using your mobile phone via the Click The City Lifestyle app. 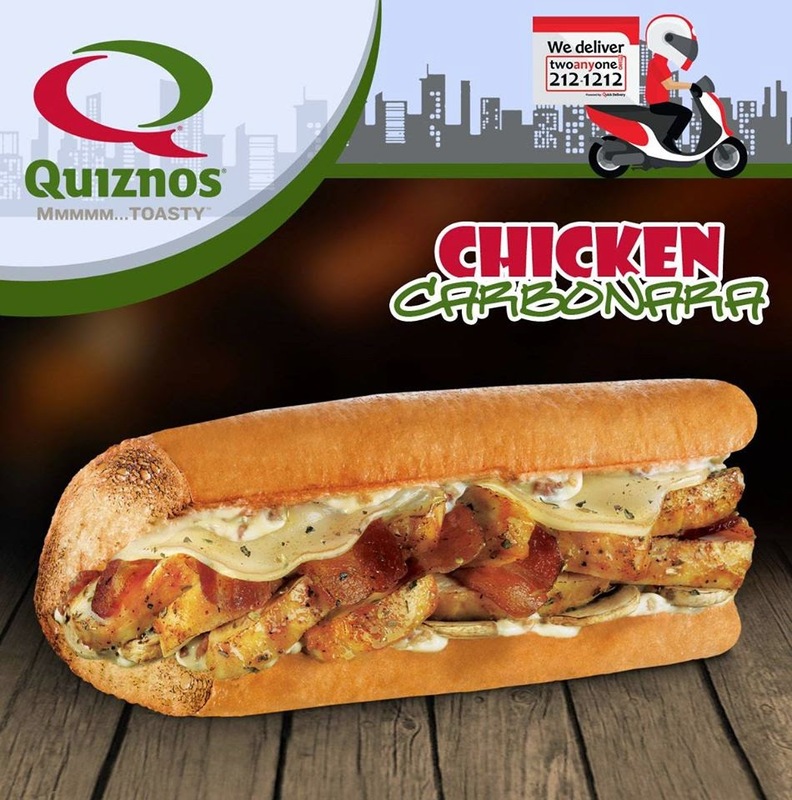 Since it was my first time to order and had no idea what to order from Quiznos, Ola was so nice and accommodating with all my questions. I also asked what if my orders are not available? She said that she will confirm with the branch then call me back after I place my order. It's a bit incovenient but I guess that's the way it is given that Quick Delivery is their third party delivery service. I ordered their best sellers as recommended by Ola and reviews from food bloggers. In my list was Chicken Carbonara, Meatballs in Marinara, Sisg Rice Bowl, Peppercorn Steak, Double Cheese Cheesesteak, Tuna Melt Flat Bread, and Chicken Bacon Ranch Flat Bread. Dami ba? Heehee! Decided to order for my family too! I ordered everything in Italian White Bread and a mix of Small, Regular and Large sizes. How can you not order when you see the sandwich filling is like this??? 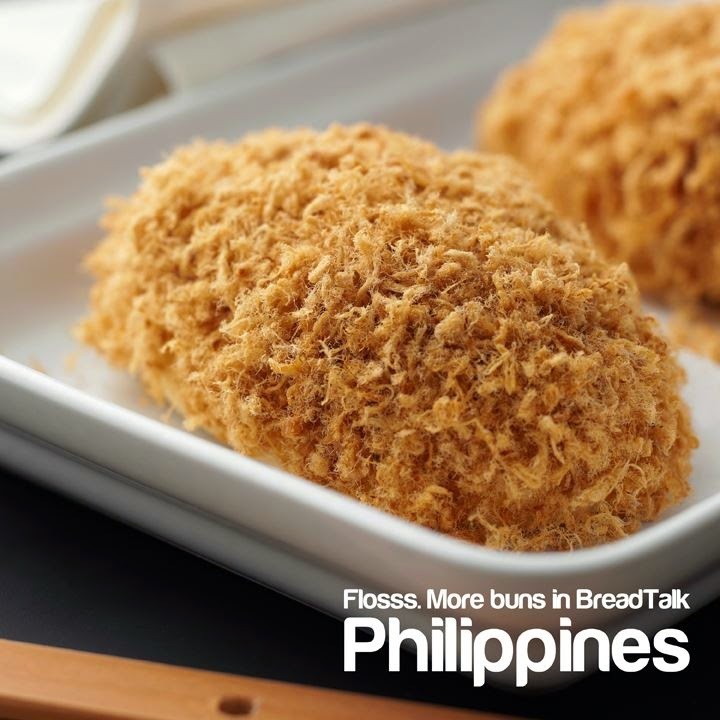 For Breadtalk, it's really a no brainer. I ordered Floss, Fire Floss, Rocky Rocky Milk and those Hot Dog Breads for Y. Ordering was so easy! After giving me my total balance, I put down the phone and checked the time after the call because I wanted to time the delivery. It was 5:15PM. I was impressed! I received a call back after 5 minutes from Ola regarding my unavailable orders. I kind of expected it na din. I was kind of disappointed with because most of my orders are not available. Four sandwiches, one flat bread and sodas were not available :( Also the Floss breads at Breadtalk were not available. I just replaced to what's available. Everything was finalized around 5:40PM. At around 6:20PM, the guard called our house telling us our delivery has arrived! 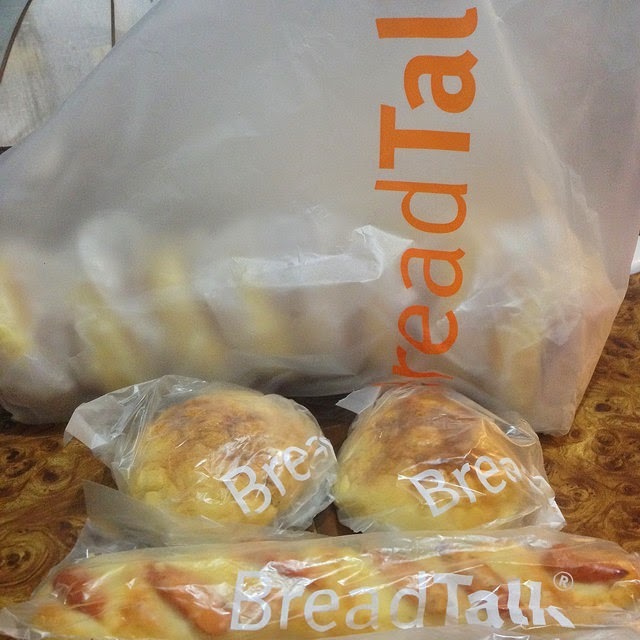 I expected the food to be delivered together but our Breadtalk orders arrived first then the Quiznos delivery arrived after 10 minutes. Double Cheese Cheesesteak. 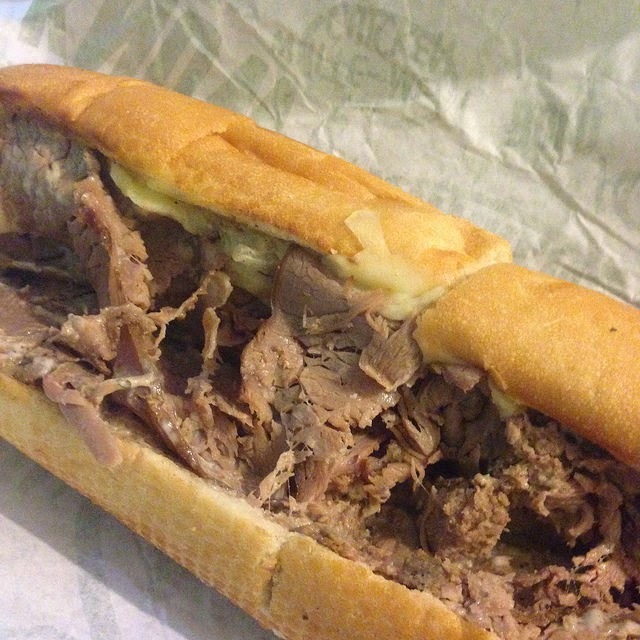 The sandwich goes through a conveyor toaster oven that makes the sandwich toasty! I ordered enough sandwiches until the next day's dinner haha! I usually don't like a day-old sandwich because the bread tends to go stale but with Quiznos, I didn't have to heat it anymore. The bread was still fresh! Yummeh! And Y was so happy with the hotdog bread I got her for her breakfast and baon the next week! I'm really happy that Quick Delivery now deliver to our part of Manila! Yay! Will definitely try other restaurants that cater to our area next time! 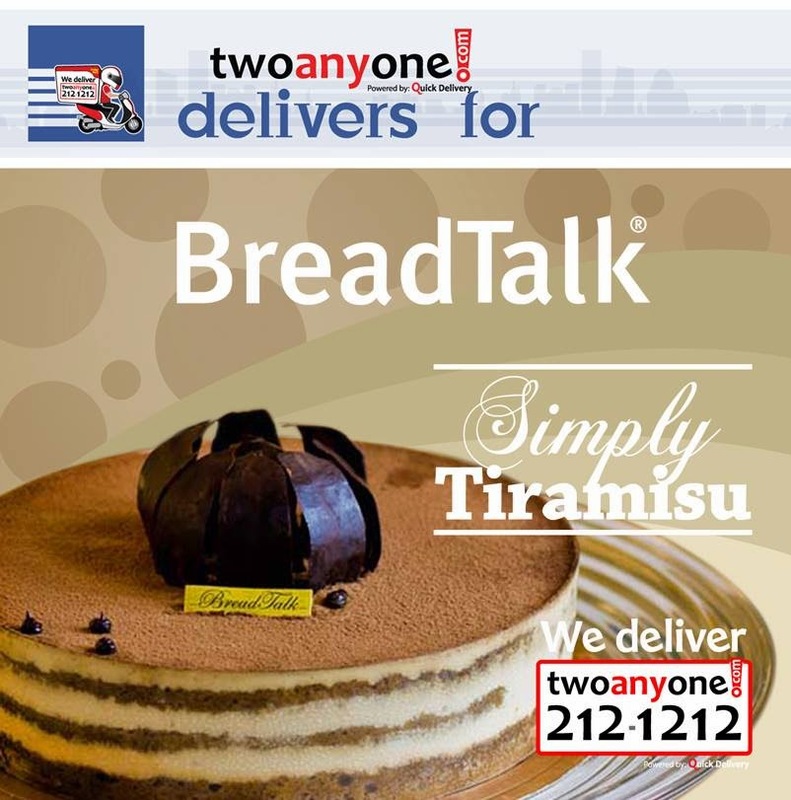 Do you want to try Twoanyone's delivery services? Well, I'm giving away 3 PHP1000 Twoanyone GCs so you can try their wonderful services! Join now via the Rafflecopter widget below! can deliver to your area. Just go to www.twoanyone.com! Why do you have food delivered? When I crave food that I see on the internet and too lazy to dress up and go out. Or when I am busy doing something at home and cannot leave the house or the office. I am a busy working mom and sometimes if i am too tired to cook dinner for the fmaily, I will have our food delivered. Why do you have food delivered? This is the fastest way to eat food I am craving for. I have food delivered when I'm too tired to cook. I want food delivered when Im extended on my work. When everyone is just not in the mood to cook or if we feel like ordering in our favorite food. It is always nice to share some good food with just the family around. Sometimes, we are just all lazy to prepare some food so we go for deliveries. We have food delivered because it's convenient! The times we choose food to be delivered is when my family crave for something they wanna eat and there is no store near our area so we opted for it to be delivered. Or I have no time to prepare for dinner because of busy days at work that we just have our food delivered. Sometimes its more convenient that way than go to the store and have a take out. It is the convenience, reasonableness and guaranteed quality that we justify why we opt delivery in times we crave foods that are not "lutong bahay"